Surface Calculator is an interactive installation that speculates wildly about technological futures and the boundaries of interface. 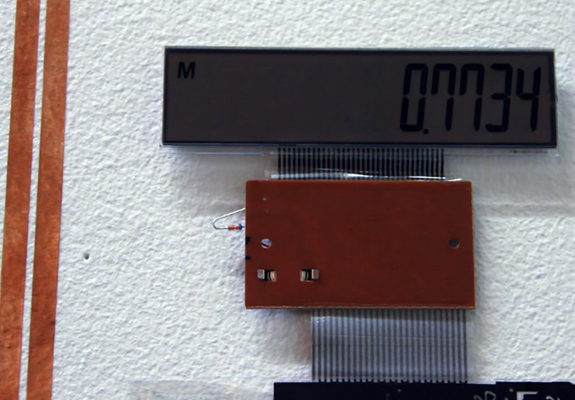 The piece is meant to serve as both a thought piece for future scenarios and a prototype device. Sparking wonder among users as a means of discovery, it’s viewed best as a provocation and point of reference about future interfaces. It works by something called galvanic skin response, essentially the ability of skin to conduct electricity. 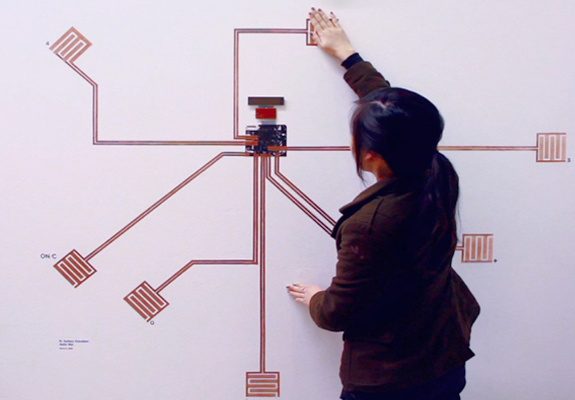 Breaks in the circuit form touchpoints for user input and interaction.